Prices paid for used cardboard and some plastics grades have risen since the EU referendum vote on 23 June, by 10% or more. The boost to the used cardboard price and for similar brown grade material comes in the face of firm Chinese demand for the material and plastic film and some other grades are also picking up in terms of demand. 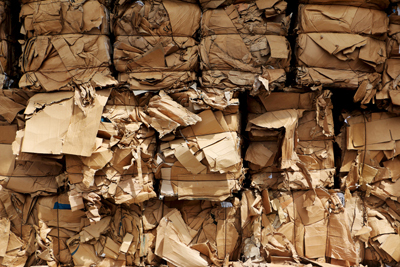 Export prices for used cardboard, which a month ago were in the high nineties (c£95-96) last month have now risen by at least £10 with some exporters paying c£110 per tonne. This is despite the value of the pound falling recently from a high of 1.50$ to 1.25$. Paul Briggs, managing director of Mark Lyndon, which is the leading exporter of cardboard and mixed paper sending 1.5m tonnes per annum to China from the UK, agreed that the price rises had happened around the time of the Brexit vote, “but that it is down to the heat of the market as ooposed to currency issues surrounding Brexit. In the plastics sector, Raj Iqbal, managing director of Choice Packaging Solutions of Milton Keynes, said that signs of a strengthening oil price was having a knock-on effect on plastics prices, especially for used film. “Demand has strengthened,” he said. “This is a good sign and more material is being moved. The plastics market is all linked with the oil price and oil is picking up. The big users of polymers have to order their virgin polymers two months in advance and alongside this there are new orders for used film which can be delivered quickly.” Mr Iqbal added that better quality material is in demand on the export market. Article published on www.letsrecycle.com on 7th July 2016.